Contrary to what is commonly regurgitated, the drug war did not start with Richard Nixon. Rather, it was the phrase "war on drugs", that came with the re-codification of drug prohibition that occurred under Nixon with the enactment of the 1970 U.S. Controlled Substances Act. This re-codification was necessary following the 1969 Leary case that had the Supreme Court officially find the statutory basis of US drug prohibition since the 1914 - the power to tax - unconstitutional as violating an individual's right against self incrimination. The 1970 CSA would instead base itself upon the power to regulate interstate commerce. The U.S. drug war dates back to the prohibitions established via the 1937 “Marijuana” Tax Act and the 1914 Harrison "Narcotics" Tax Act regarding “opium or coca leaves, their salts, derivatives, or preparations”. Accordingly, such substances could only be legally possessed by those registered to pay a special tax, which the U.S. Treasury Department was therefore empowered to set regulations determining who could be allowed to pay the tax. Thus though based upon the Congressional power to tax, this 1914 Act also relied upon a delegation of regulatory authority. The stage for this would be set via the 1906 U.S. Food and Drugs Act, and the propaganda campaign used to bring it about. The 1906 Act which did not specifically prohibit any substances, set up the population for the prohibitions to come, via an overly broad delegation of regulatory authority to the U.S.D.A. Bureau of Chemistry so empowered to ban products sold as foods, that contained what it claimed were dangerous-deleterious to human health ingredients, and hinted at via a grossly inconsistent retail packaging labeling requirement list of substances. It would not be a true war against dangerous or addictive substances. It would lump together all cocaine containing products regardless of the potency and hence actual properties, with the effect of effectively banning the relatively safe - re: dilute - products while shifting cocaine availability exclusively to the drug in its most dangerous concentrated forms. It would give a free pass to substances that were intrinsically the most dangerous and addictive as nicotine containing Tobacco, even allowing such products with a wide range of deleterious additives, more incredibly even unlabeled, as perhaps should be expected. The 1906 U.S. Food and Drugs Act would be widely lauded as establishing reasonable regulations and regulatory authority to guard over the food and drug supply in interstate commerce. Yet its inconsistencies and its unbridled regulatory authority to the Bureau of Chemistry of the U.S.D.A. would make it a springboard of authoritarian abuse via a U.S.D.A. allied with commercial interests most notably the American Medical Association and the American Pharmaceutical Association, and in collusion with "muckracker" writers as Samuel Hopkins Adams. Its seemingly reasonable requirement for the retail product labeling of ingredients would be subverted by its limitation to certain substances that were being politically targeted, and the exclusion of others given a free pass: for instance cocaine had to be labeled but neither caffeine nor nicotine, even regardless of what was inferable from the product's label. Therefore products clearly labeled as "Coca" by name and/or ingredient list were "misbranded" for not listing the presence and proportion of cocaine alkaloid, even that occurring simply naturally in Coca leaf. Yet products were not required to list the caffeine content for instance even if their labels made no mention of Coffee, tea or some other caffeine containing plant- hence fortifying a false notion that cocaine was somehow necessarily more dangerous than caffeine or nicotine regardless of how low the amount, and thus engendering a popular overly broad fear of Coca products. Its seemingly reasonable prohibition upon "adulteration" was likewise perverted by its empowerment of the U.S.D.A. Chemistry Bureau (Section 4) to make such a determination based upon its opinion of any such ingredient being "deleterious or detrimental to human health" (Section 7 regarding confectioneries and foods): a power given without any actual requirement of scientific backing! The U.S.D.A. Chemistry Bureau could thus exploit this to bring prosecutions against manufacturers of products containing substances it arbitrarily deemed so unacceptable, doing so even those included in the Act's labeling requirement! And it would do so, starting with products sold as "foods' for regular use, rather than as "drugs" sold for more occasional use. When a 1911 U.S. Supreme Court decision found the 1906 Act failed to confer the degree of regulatory power sought by the U.S.D.A. - namely that "misbranding" referred to a substance's identity rather than its efficacy - it was soon amended. That would thus set the stage for bureaucrats to suppress information about medical alternatives, via empowering them to declare such medical claims as false- even arbitrarily. This would build upon the Act's already established failure to require scientific backing regarding U.S.D.A. Bureau of Chemistry claims about ingredients, further establishing a medical - agricultural mercantilist scheme for patentable synthetic drugs and Tobacco- the U.S.D.A. after all being initially established in 1862 to promote U.S. agricultural interests. The drug war after all has always involved markets worth billions, and the U.S.D.A., as an example of this drive for market control, was undeniably concerned about the market threat that Coca posed to Tobacco, as seen in their infamous 1910 Farmers' Bulletin article "Habit Forming Agents Their Sale and Use a Menace to the Public Welfare". Notably the U.S.D.A. hysteria against cocaine - regardless of actual matters of a preparation's potency/abuse potential - escalated sharply after the U.S. took control of the project constructing the Panama Canal that would significantly reduce transport distances for Coca leaves from the coast of Peru to North Atlantic markets. Coca leaf is what experts as Dr. Ronald K. Siegel of U.C.L.A. have noted "...stands out among all the stimulants, licit and illicit, as the easiest to control and the one least likely to produce toxicity or dependency." 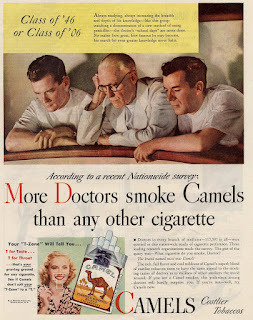 We know the worst are Tobacco products, particularly cigarettes, actively promoted for decades by American Medical Association figures as "Dr." Morris Fishbein, and now credited by the U.N. World Health Organization with causing some 100 million premature deaths during the 1900s. 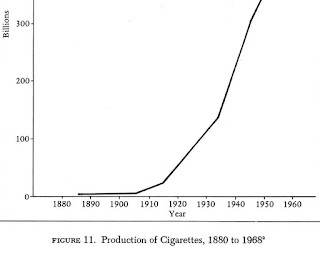 We can see how cigarette production spiked in the wake of the successive 1906, 1914 and 1937 U.S. drug control legislative Acts, and can just begin to calculate this rarely acknowledged enormity of public health subversion caused by the war on drugs. Yet article after article about the drug war can never dare mention any of this, choosing instead to fail to get beyond New York Times promoted fake news from 1914 that cocaine was banned in the U.S. because Black people liked it and that it made them impervious to bullets prompting some police units to adopt larger caliber guns. 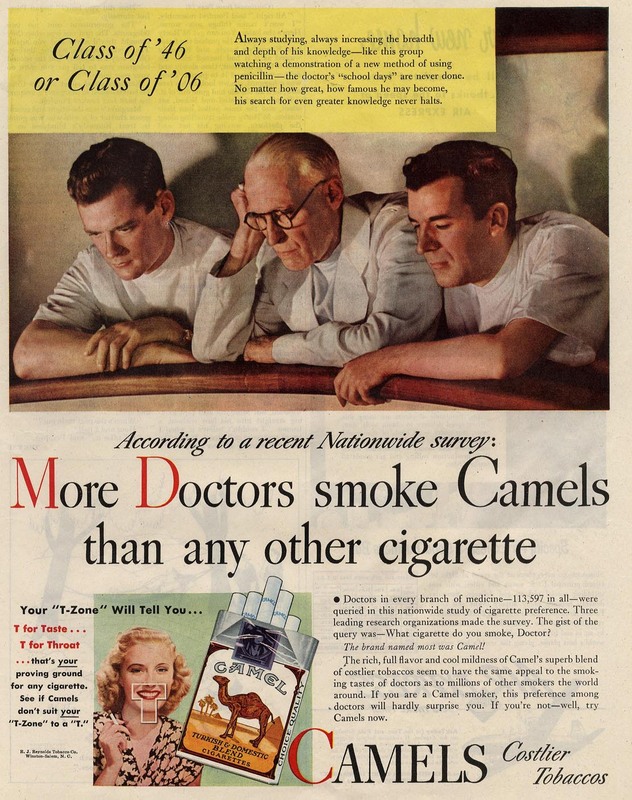 Has anyone ever seen a 20th century article about medical 'quackery' include the profession's promotion of Tobacco cigarettes so prevalent in the half century following the 1906 U.S. Food and Drugs Act? 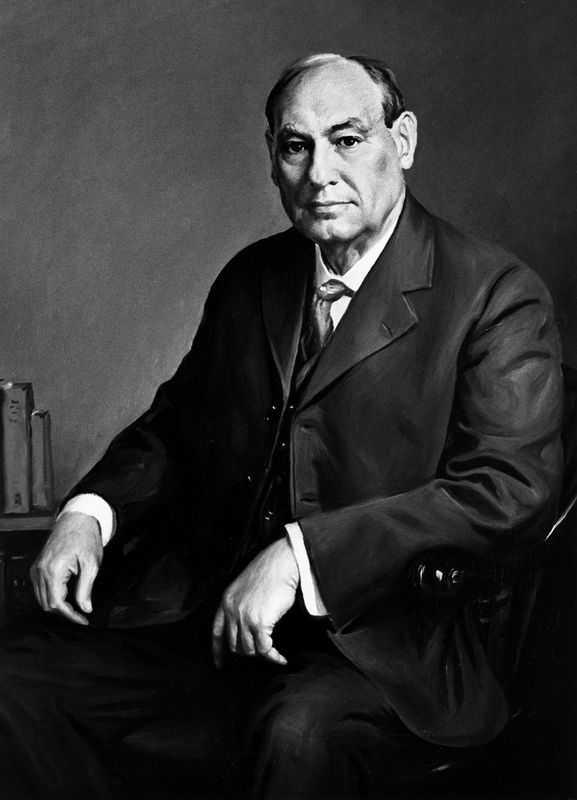 That Act that so empowered the United States Department of Agriculture Bureau of Chemistry over foods and drugs, had cleverly exempted Tobacco products, by cleverly limiting its jurisdiction to drugs listed in the U.S. Pharmacopoeia, which did list Tobacco prior to de listing it the previous year- 1905! "That the term “drug,” as used in this Act, shall include all medicines and preparations recognized in the United States Pharmacopoeia or National Formulary for internal or external use, and any substance or mixture of substances intended to be used for the cure, mitigation, or prevention of disease of either man or other animals. The term “food,” as used herein, shall include all articles used for food, drink, confectionery, or condiment by man or other animals, whether simple, mixed, or compound." 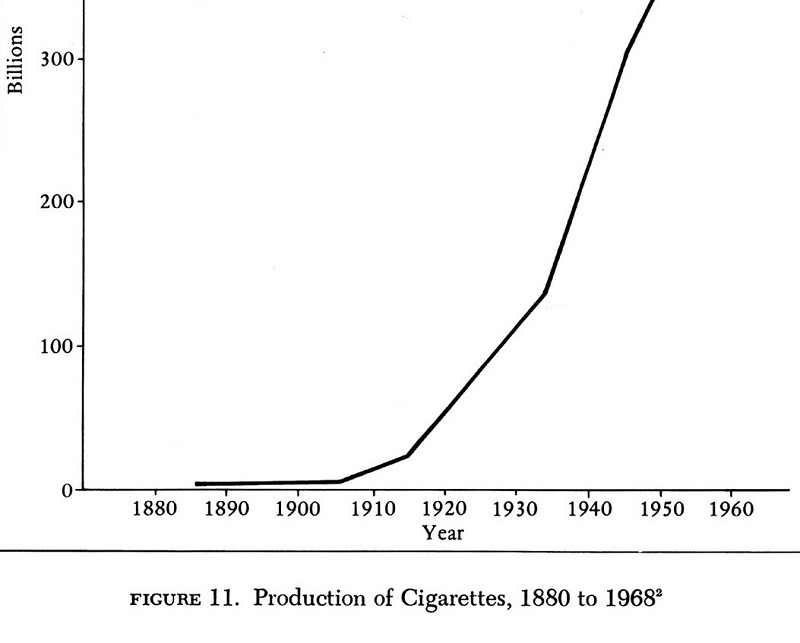 Tobacco had been included in the U.S. Pharmacopoeia since at least 1890, yet was deleted in 1905. Accordingly, "Former [U.S.] SenatorMaurine Neuberger has claimed that the removal of tobacco from the Pharmacopoeia was the price paid to get support of tobacco-state legislators for the Food and Drug Act of 1906. The leaf was thereby removed from the jurisdiction of the FDA (Wagner, 1971: 74)." That statement and the timing suggest that the 1905 deletion was done in anticipation of the 1906 Act. The drug war's lack of scientific quality has a broader purpose. That would be a campaign not only against opiates and cocaine, but also against the idea of self medication (that is individuals medicating without a doctor's prescription), against medications that were based upon natural substances as herbs and components of herbs, and hence un-patentable, against products that were generally dilute, hence taking more shelf space than concentrates as powders and pills. That campaign relied heavily upon such code terms as 'nostrums' - see Colliers Magazine cir 1905, as well as "Patent Medicines' - actually a misnomer used against what were correctly termed 'proprietary medicines' as patent medicines where those that could be patented because they were man made chemicals rather than ones occurring naturally in things as plants- hence the basis for today’s overly expensive and toxic- re side effects - pharmaceutical monopoly medicines. The U.S. government's years of suppression of knowledge about the potential efficacy of Cannabis in fighting cancer, for instance, is but a part of this subversion of choice, which is a key factor in the crisis of rising health care costs. The current habit of assuming that the 'war on drugs' simply started with Richard Nixon’s Presidency, and the near universal tendency to only focus upon Cannabis "Marijuana-Marijuana" distracts from the broader picture, serving to further perpetuate the quite costly assault on freedom of medicine and diet.